Westwood 2011 Region Champ Football Team, taken just after the game. GO CATS! 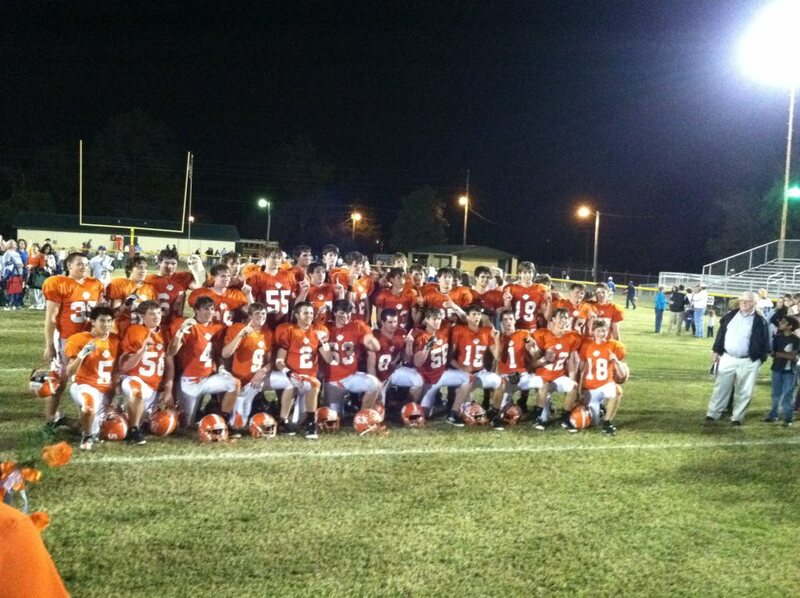 Westwood Wildcats are region champs in Football! Congratulations Cats! We will play in two weeks, probably on Saturday, November 12 at 7:30 pm, so please mark your calendars for the first round of state AT HOME. Congratulations to the varsity girls cross country team for placing third in the state! Congratulations to our senior Virginia Vereen for placing 9th in the state meet. All cross country uniforms are due immediately. The One Act Play will compete at region on Tuesday, November 1st at Darton College in Albany at around 11 am. They performed the Little Mermaid. The community performance is Sunday afternoon at 3pm. Donations taken at the door. A camo jacket was left at the football game Friday night. Please see Mrs. Good if it belongs to you. 4H Fruit orders are due tomorrow, November 1st. Bring them to school or turn them in to the 4-H office by 5 pm. We have Westwood hoodies for sale for $40. See Mrs. Paige or Mrs. Jennifer. We now have a drop off table in the commons area of the high school table. When you plan on dropping something off for your child, remind them to check the table for the item. This is also where we are leaving messages.